We will add a muzzle break. 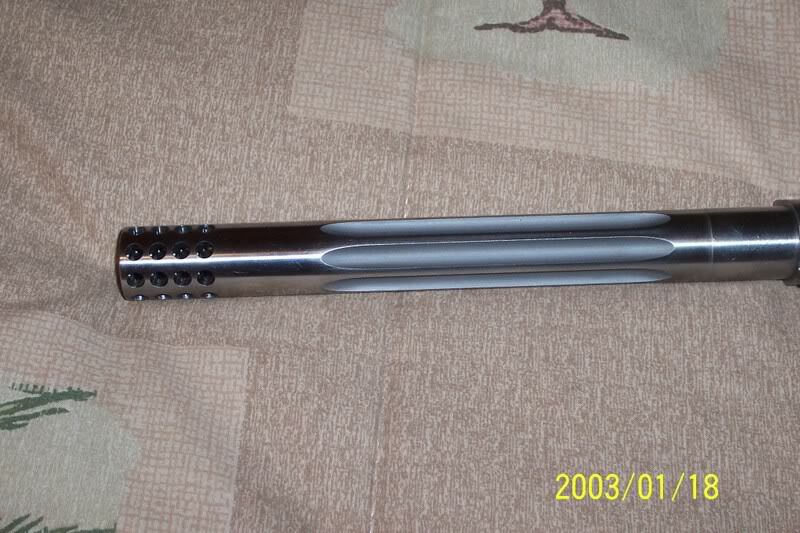 Shown is a A .223 Barrel, with a muzzle break, fluting is extra. We will float the barrel(install CLE float tube).